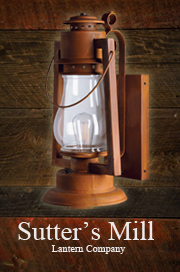 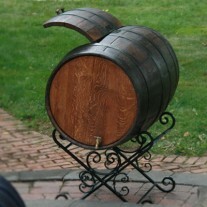 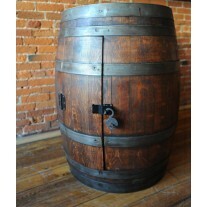 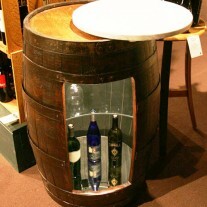 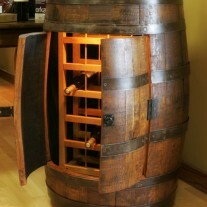 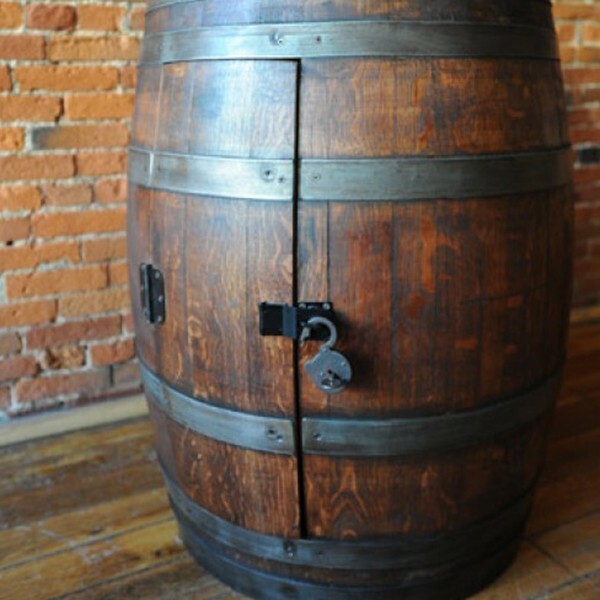 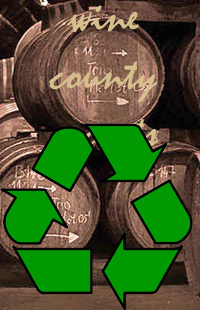 This reclaimed barrel has been stained, finished and reinforced. 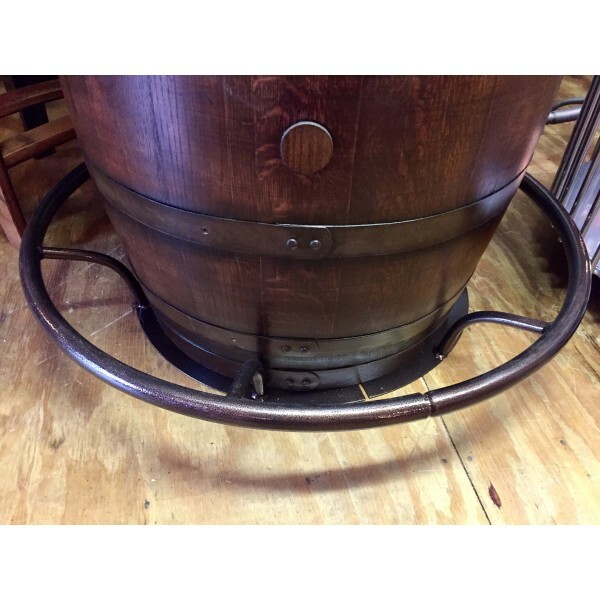 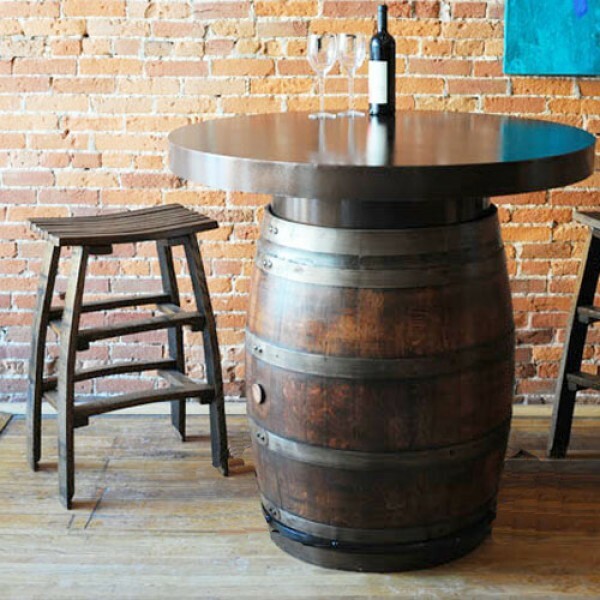 The durable metal table top is available in a 30", 36" or 42" diameter. 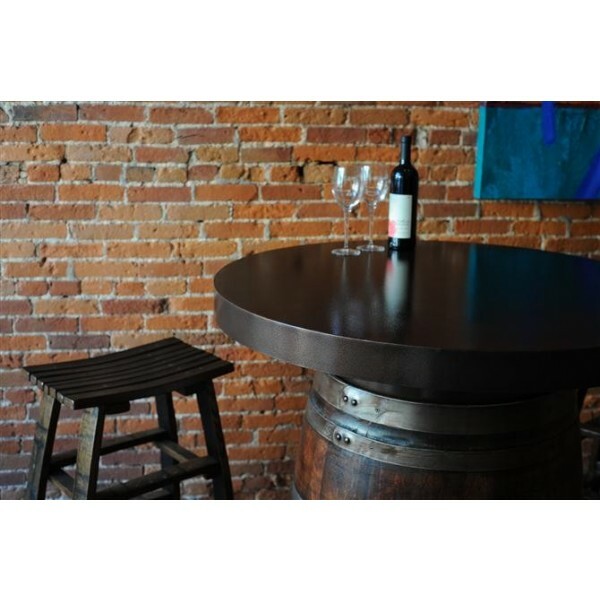 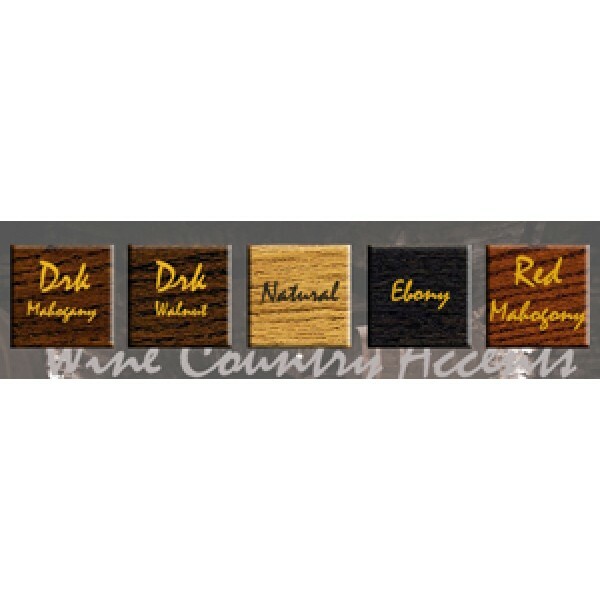 The table top is powder coated with a pebble texture surface and offers a deep copper vein (bronze) in color. 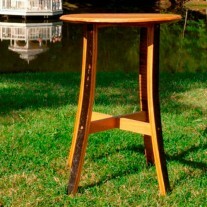 Available in 36" and 42" heights. 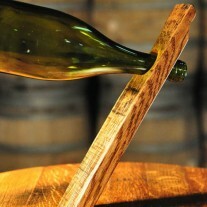 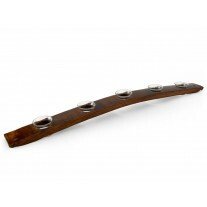 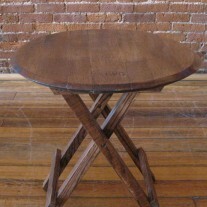 (the 42" table height includes a riser in between the table top and the barrel). 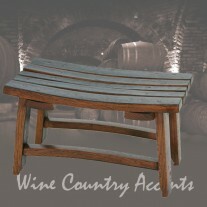 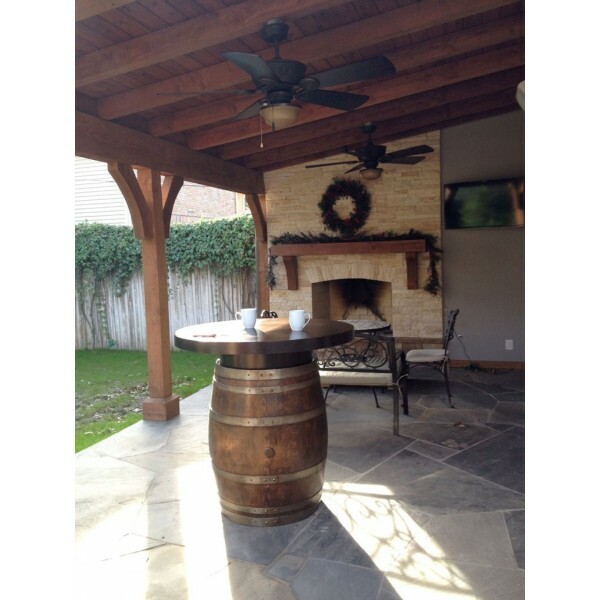 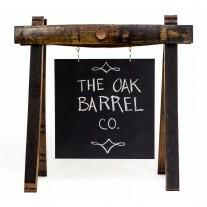 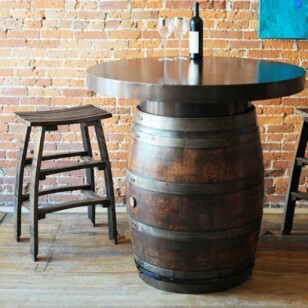 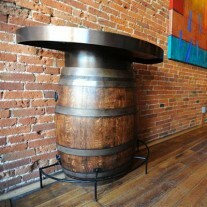 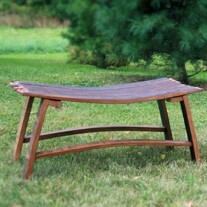 There is also a powder coated footrail that is another great option for this unique barrel table table.